As someone who attends the play-off finals in Nottingham every year, I often wonder if there’s something can be done to make it, not better, but bigger. In this event, the Elite League has something unique that everyone can get on board with, even if their teams aren’t involved and even players, from here or abroad, love the atmosphere it brings. So, would there be scope or even interest to move it to a venue that’s bigger to try and attract more of a crowd? 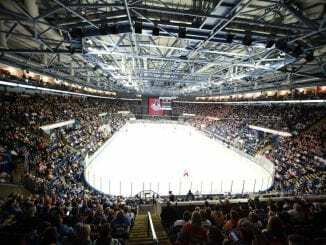 For now, the Motorpoint Arena in Nottingham is the best place for it and it’s something to thoroughly enjoy when you see all the colours coming together and chirping is kept to the stands. Of course, we’d all love to see a series like they have in most countries, but the logistics of the arenas and the rinks in the UK don’t really make it feasible to host a three, five or even seven game series. If clubs have got dates booked, these have to be paid for whether the venue is in use or not so it’s not a case of just holding their hands up and getting what they want. The format we have makes it short and sweet, but every bit as competitive and an event that’s grown, certainly in the seven years this writer has made the pilgrimage to the Motorpoint Arena. This year’s event will go on sale to fans this week and, like the last couple of years, should be a sell out again as fans of all 11 teams get involved, whether their team is playing or not. So, will there become a point where demand for it becomes so great that alternate venues may be looked at? If so, where could they take it? As it stands, Nottingham’s arena has a capacity of just under 11,000 and more recently, has added temporary seating behind the goal where the stage sits. If there was an option to look elsewhere, would the Elite League bosses restrict themselves to cities and arenas where there are teams based and established there? Liverpool and Newcastle have venues that hold 11,000 while Wembley Arena in London (12,500) and Leeds’ First Direct Arena (13,500) can also be upgrades, but don’t have teams, although there has been talk of one in London for some time. 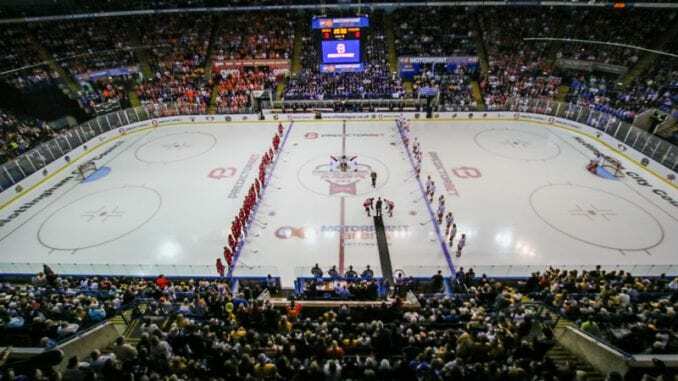 But of the cities where teams can be found, Sheffield, Manchester and Glasgow would be viable with larger venues and places that hold between 13,000 and 21,000, but it depends on the layouts of the buildings and if ice hockey would be feasible there, Sheffield aside. It’s certainly something to think about as the sport continues to grow and interest in the play-off finals also increases so it’s only right that demand is met going forward. The short-term future is good as the play-offs and Nottingham work well together and have done since the Elite League began in 2003. Beyond that, we’ll have to wait and see. 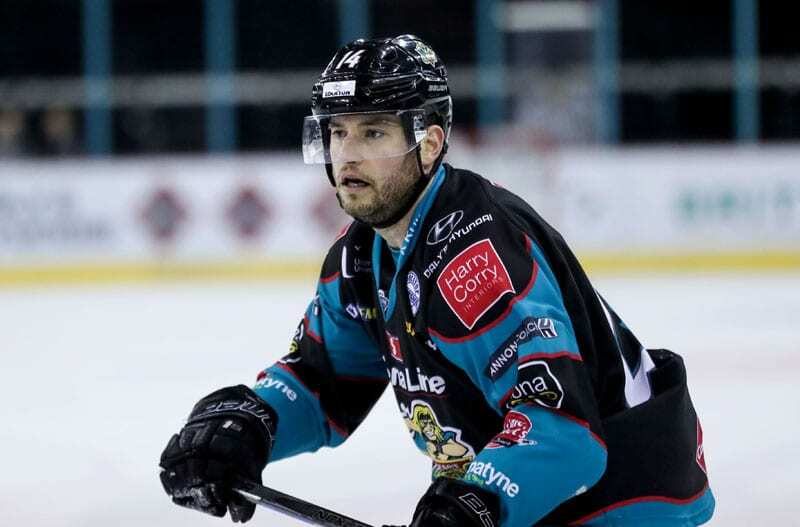 You have to applaud new Belfast signing Jordan Smotherman getting on the earliest flight he could to help them out for Sunday’s game with Nottingham Panthers as injuries took hold. He was originally due to be announced on Monday, with a view to having him arrive and getting him ready for his bow on Friday against Guildford Flames. But with coach Adam Keefe seeing Patrick Dwyer limping out of Saturday’s win over Coventry Blaze, Smotherman was straight on to book his flight. In an interview with A View from the Bridge, he revealed he arrived just hours before face off and capped a busy day off with Giants’ eighth goal in the 8-5 result. Guys like that are worth their weight in gold and if he delivers with goals and assists in the coming weeks as the title race gathers pace, he will be remembered for a long, long time. 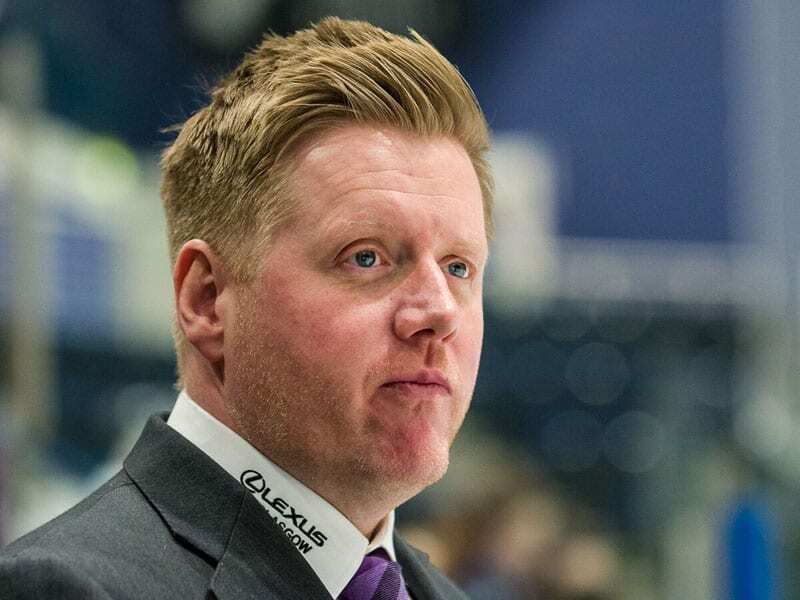 With the World Championships coming in three months’ time, preparations begin for Pete Russell and his Great Britain Men’s team as they play their first warm-up game this week. 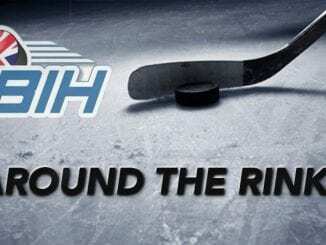 KHL outfit Dynamo Riga will be here to provide the first stern test as Russell weighs up the players he thinks could make a difference in Slovakia in May. With an exciting few weeks and months to come, we’ll all be fascinated to know who makes the cut and for the players, a glorious opportunity awaits. Best of luck to each and every one of them.